First, consider the academic achievement. It is a commonplace to remember the role of the monasteries in preserving classical scholarship and learning during the so-called “Dark Ages” of Europe. We are all familiar with the idea of devoted monastic scribes laboriously copying out and decorating magnificent illuminated manuscripts of the Scriptures, and also of other works from the classical period. The results, such as the splendid Book of Kells, theLindisfarne Gospels, and others, are extraordinary achievements that we rightly treasure today. 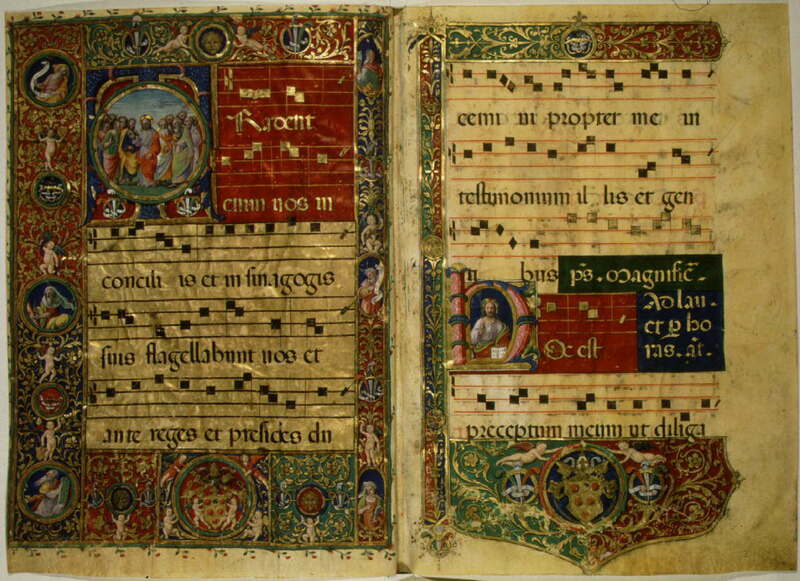 The monasteries were also responsible for much of the foundations of Western music as we now know it, resting as it does on the early examples of Ambrosian chant, and later of Gregorian chant. This picture though is incomplete. In presenting the monks as the sole guardians of scholarship, it disgracefully ignores the substantial contributions of Byzantium and the Islamic civilization, which preserved and further developed many aspects of classical civilization that the monasteries totally ignored. As the example of Walpurga shows, it also ignores the contribution of many remarkable women. So: those fabled illuminated manuscripts were produced not only by the monks, but also by the nuns, who also prepared the vestments, and worked the fields. They studied Latin and Greek, and also the writing of the church fathers. This is a far cry from the situation in the mid twentieth century, when Rembert Weakland, then head of the Benedictine order and based in Rome, wanted to offer some theological training to the Benedictine sisters. He encountered strong opposition from the curia, who believed that theology was only suitable for male religious, and that the women did not “need” it. Winibald (Walpurga’s brother) built a church and double monastery at Heidenheim in Suevia for himself and Walburga in 752. 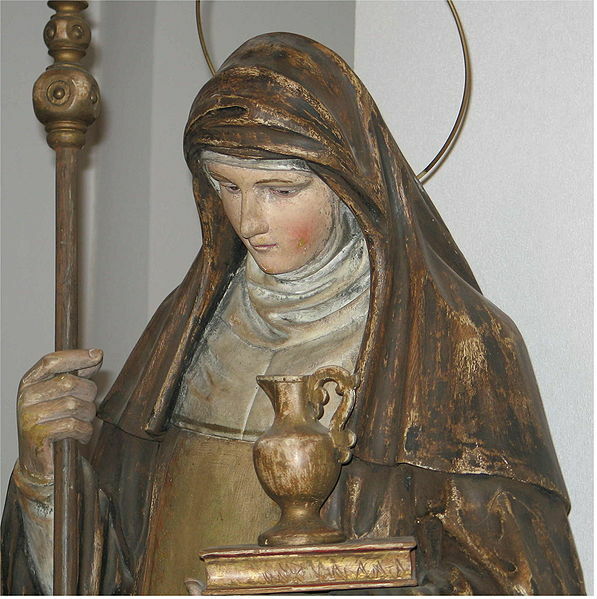 When he died in 761, Walburga became abbess of the entire monastery. She ruled the monks and nuns with wisdom and grace. Abbesses in the medieval world were powerful women, with substantial authority in their territories over both men and women, both clerical and laity. In some cases, it has been said that the abbesses had substantial power even over the local bishops, including some influence over their appointment. I think I have read, but am open to correction, that abbesses were also among those attending some of the early General Councils of the Church. The history of women in the early church, like that of its “gay” and lesbian history, has been hidden for too long. As we remember St Walpurga, let us also remember all the other strong and powerful women whose major contributions have been forgotten.